I like the cover, there is something very ordinary about it but that shadow is creepy! Anyone else notice he's wearing a ring on his ring finger? Looks thin enough to be a wedding band perhaps?! Maybe marriage is being hinted at as one of those old ideas?! burningviolin wrote: Anyone else notice he's wearing a ring on his ring finger? It may be his own Unified Heart ring. I believe he was wearing that ring at his Prince of Asturias acceptance speech. After reading the observation by burningviolin about Leonard wearing a ring on the album cover, I had another macro look at the photo. NB. These are just my impressions. Hi, first post in the forums! I love the new cover and, though this is a bit darker than other comments here, I find it interesting to see the shadow as Death. What a contrast to the old man Cohen sitting peacefully in the sun reading in the bright garden. I saw an interview with Cohen where the interviewer admitted to being nervous about death and asked Cohen if he had any novel thoughts on the matter. Cohen didn't give a great answer, he just smiled and said he just hopes his will not be painful, something like that. Anyway I read in a description of this album that the topic of death is explored, so that could be a hint at the shadow. Once you think of the shadow as Death the cover becomes a bit creepy and very interesting. It reminds me of the scene in The Godfather when the old Don Corleon dies in the sunny garden playing with his grandson, it's the same kind of contrast. Opinions? That's right - his assistant Kezban Özcan shot the photo, and only later he decided to use it on the cover. What a lovely relaxing picture. Love it. Can't wait now. RussT17 wrote: Hi, first post in the forums! Thanks for the interesting insights, and welcome to the forum! It is interesting that people are suggesting various deep interpretations of this new album cover. But, perhaps Leonard just thought it looked cool, and maybe there's nothing more to it than that? Just a thought! When I first saw the cover art, my immediate response was: Wow, it's all lit up! So bright & so awake. And these words came to mind: "Myself, I long for love & light/ but must it come so cruel/ must it be so very bright". And then, as my eyes were drawn to the shadows, these words: "then we'll come from the shadows. . ."
Shadows can indicate things which have been hidden, emerging into the light; or the dark side of the psyche coming to the surface; or in Jungian terms, the anima/animus - the female side of the man, or the male side of the woman. And in some so-called "primitive" cultures, the shadow has been seen as the person's spirit. The shadows in this picture seem very bold, kind of solid, & quite prominent; one of them is even duplicated in red - an intensely emotional color. Maybe this has to do with shining the light on things which have been obscured or hidden. And love & light, no matter how cruel it comes or how painfully bright it feels, the longing for those things endures forever. But of course, Lisa could be right; maybe Leonard just thought it looks cool!! I like that, Lisa. . .maybe we all need to "lighten up" a bit! The beautiful Show Me The Place: the ability to express vulnerability so beautifully & brilliantly & deeply is a great strength, & this ability has always been an aspect of Leonard Cohen's amazing genius. And not only does he express it with incomparable beauty & dignity, but he transforms it into - in the words of the great Irving Layton - exaltation! Leonard's phenomenal voice, which seems to perpetually grow richer & more powerful, continues to penetrate my heart like nothing else in the world, & this song has permeated my being, & it's with me when I wake up & when I go to bed & all the hours in between. And I love the violin/viola, the piano, the organ sound, Jennifer's voice, the melody, the wonderful lyrics, & everything about it. And if there are birds or anything else in the background, I love that too! It makes me feel like I'm right there in Leonard's garage with him, & I hope noone removes those sounds or changes anything about it. (Personally, I have no desire for another Simonesque makeover, or anything of that nature). I love it just as it is. obviously disappointed that snow is falling isn't in the line up! Feel so blessed with the chance of listening to a new leonard cohen album soon. Just pre-ordered it a few minutes ago. Brilliant cover and "show me the place" is such a great song but i was hoping for "born in chains" to be among the songs aswell. Anyways i can't wait for the end of january. Nice to read that Patrick Leonard is one of the producers on this album. He's most notably known as Madonna's writer and producer. 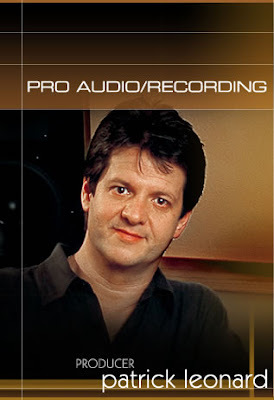 He also worked on Peter Cetera's 1988 album, One More Story. holydove wrote: And not only does he express it with incomparable beauty & dignity, but he transforms it into - in the words of the great Irving Layton - exaltation! So you kind of like this song? Well, Hartmut, I just don't know, I haven't decided yet. . . guess I'll have to listen a few hundred more times so that I can make a sufficiently informed decision. Thanks for the laugh, my friend! !